It is the middle of the week already and I for one am not quite sure where the 2 days since the weekend went! 6 Republic is now open and it’s another amazing round. 6 republic is one of those events that you need to go to just to look at the sim if for nothing else. But, why would it be for no other reason when there is so much amazing, new, original content available to buy. 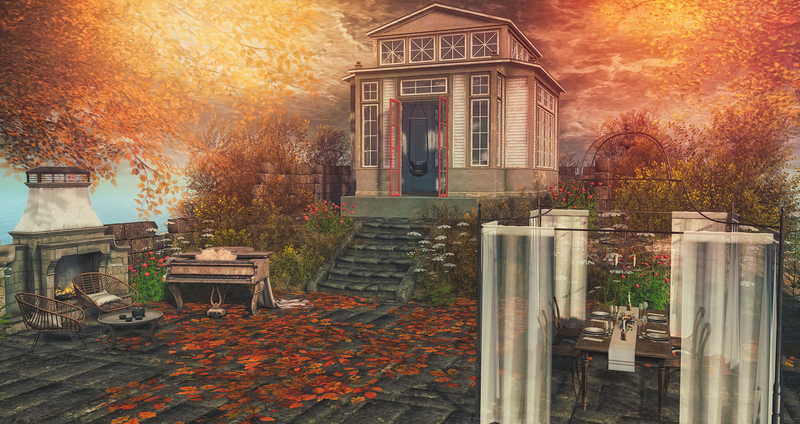 I’m featuring the new releases from Bazar at the current round today. I can’t even tell you how excited I am about this dining table set…I’ve been using the Forest dining set from Bazar for years and now there is a new dining set that’s just perfect for indoor or outdoor settings. Bazar is known for high quality, low land impact decor but what I love most about their dining furniture is the scripted place settings. RP Romantic meal for two? RP Family Dinner? You can do all that and fully immerse yourself in the experience using the scripted place settings. I haven’t seen anyone get this as right as Bazar does in their furniture and as plus, it looks amazing too! Check it out for yourself at the November round of 6 Republic!